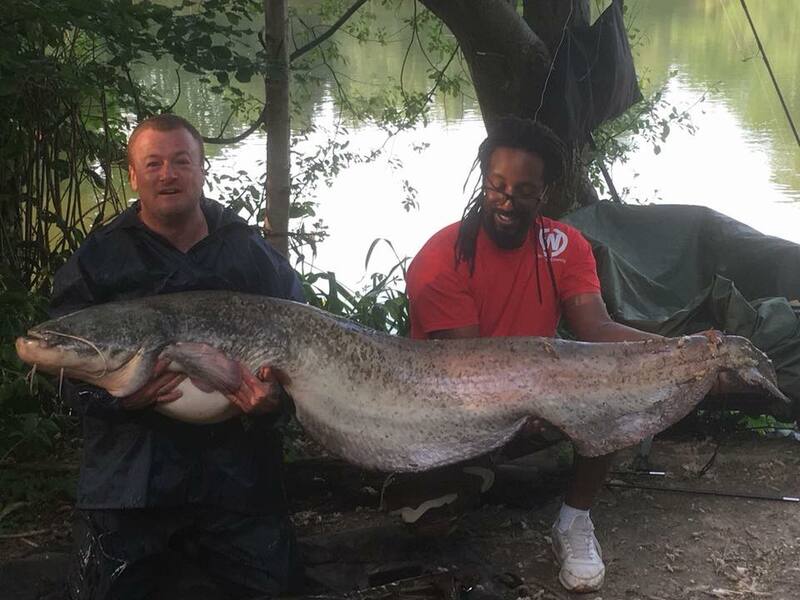 Welcome to Wintons Fishery and thank you for joining season 2019-20! Please read through the following information thoroughly which is provided for your safety, benefit and enjoyment and also for the welfare of our fish. Rules: this is a summary of the most important. All rules can be found in your membership card and on the website. SAFETY of our members is paramount. 1. Please take the greatest care when driving in and out of the complex and note the maximum 5mph speeding rule at all times. 2. Remember we have DEEP WATER which is dangerous if care and common sense are not used. We are all responsible for our own safety. 4. Please use head torches during twilight and darkness. 5. Please take a few moments to familiarise yourself with the maps of where buoyancy aids are located on the complex. 6. Our boats are for the use of the bailiffs only. 7. Juniors under 18 are forbidden to move around the site without adult supervision. NET DIP You may not be aware that regularly there is an outbreak of KHV in our area and the rest of the UK. To help prevent the spread of this awful disease between fisheries it is essential you dip your nets mats and slings BEFORE going to find your swim. Even if you only fish at Wintons please do it on every visit. It’s a good example for anybody watching you who doesn’t know this. We are very strict on this rule there is CCTV watching and anybody walking past the 2 tanks in the car park without dipping their gear will have their membership revoked. Or bring your camera card into the Office so we can download them. RIG CHECKS Are carried out daily on a random basis please don’t be offended to reel in. Please be aware that if you are caught breaking the rules you will be asked to leave immediately. MAINTENANCE is always an on going job. Please let us know if any parts of the complex need attention. 10 stamps = £10.00 off a fishing session! We have a good range of end tackle including Korda and Fox. Plus a selection of new and second hand bed chairs, bivvies, luggage and alarms is continually changing. We do part exchange for cash if you are looking to sell. We stock a good range of freezer bait including Mainline Dynamite and Sticky Baits. We stock pellet, particle dips and lugs and bulk orders can be placed for a discount. Stu and the team are available to let you know what is working at the time. Don’t forget to use your loyalty card to accrue some points. Smaller items such as gas cannisters, cold drinks, chocolate and batteries can be purchased in the shop. We also have a Wintons hoodie and Tshirt available in the shop at £24.99 and £14.99 respectively. Competitions: A club atmosphere at Wintons make our competitions great fun. We will be posting dates on the website soon. Let us know if you’d like to put your name down. 3. A token for hot water in the shower can be obtained free of charge in the office. 4. Unfortunately just a few spoil the facilities. PLEASE leave the shower and toilet as you would like to find it. It is a disgusting job for the boys to clear up if needs must. 5. The same goes for rubbish left at your swim. We have large red bins in the car park there’s no excuse! Ring the Fishery between 9-5 Monday to Saturday and 9-1 on a Sunday. 01444 236493 Please do not make bookings or cancellations via email, Facebook or text as we may not be at our desk with the diary to hand. Please do not ring after 5pm unless there is a genuine emergency as the office and house phones are connected and ringing late at night/early morning is not appreciated. Each member is responsible for their own booking/cancellation, group bookings made by one person will not be taken. 4.On arrival if the office is closed either post your tariff money through the letterbox or come in and see us between 9am-5pm on your first day. 7. Start fishing and good luck!